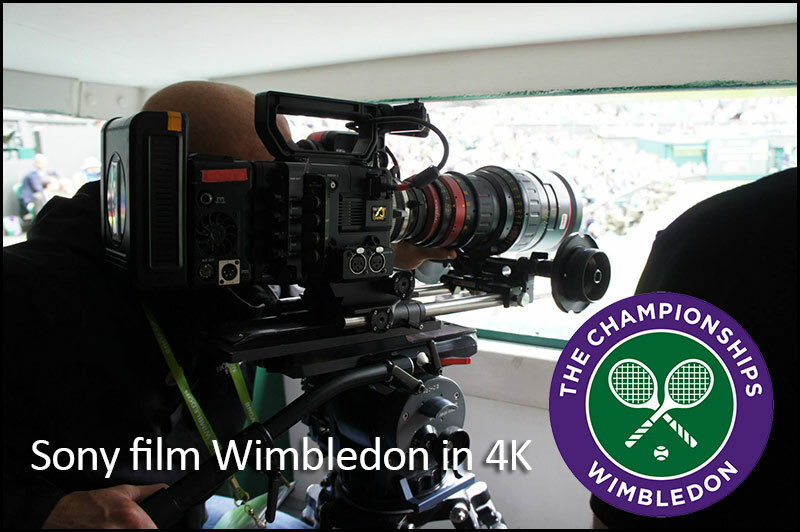 Sony…”Sony has today announced that it will be shooting and recording part of this year’s Wimbledon Championships in 4K, as part of its long-term partnership with the All England Lawn Tennis Club (AELTC). 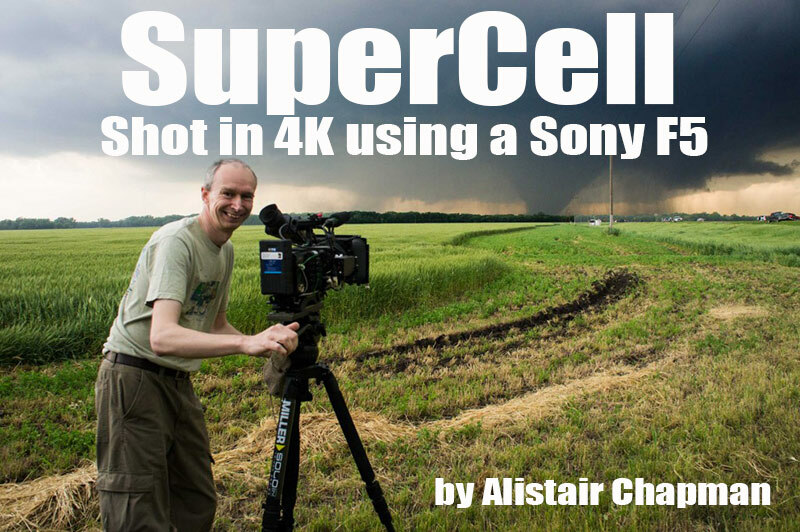 This is the first time that 4K footage has been captured at the Championship, marking another technological milestone for Sony and the AELTC, following the 3D broadcast of the Tournament for the past two years. Wimbledon 2013 will also see the last five days of the tournament, including the men’s quarter finals, and the ladies and men’s semi-finals and finals matches, being broadcast live in 3D. Sony’s 4K footage will be shot on Centre Court and Court Number One during the first day of the tournament to test what stunning 4K can bring to the tennis experience. 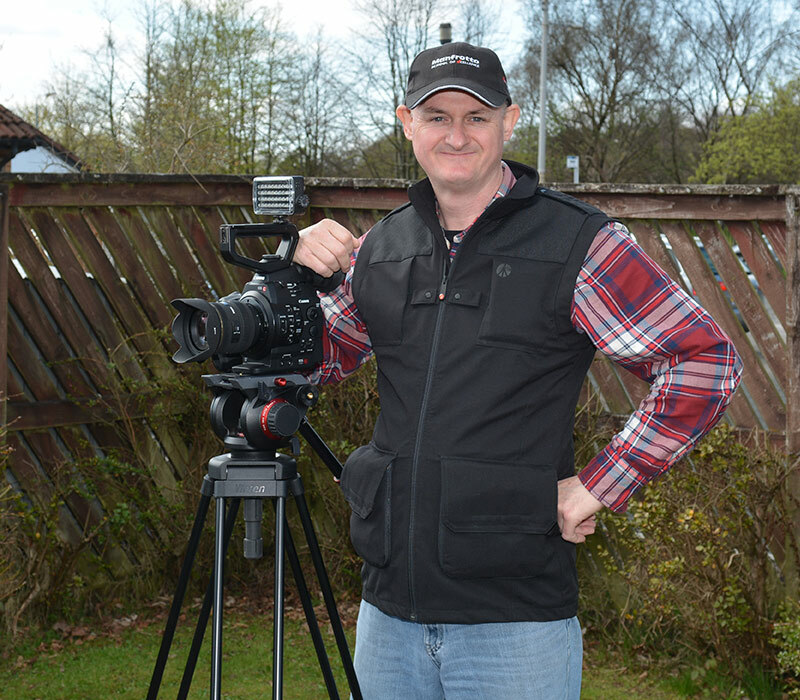 Two of its highly popular F55 35mm 4K cameras and an NEX-FS700 will be used to capture the action, taking advantage of the F55’s exceptional high sensitivity and colour reproduction to produce stunning 4K images. All content will be captured in RAW 4K using the AXS-R5 recorders, linked directly to the F55’s or via the new HXR-IFR5 with the NEX-FS700. This is the picture that does it for me…the technician is carrying a rather heavy expensive F55 and zoom lens possibly upwards of £30K yet his breeks (jeans) are halfway down his legs with underpants on show…brilliant ! JVC KENWOOD Corporation is, 4K From JVC brand adopt a Nikon F-mount that allows you change the lens on the handheld body with excellent mobility. JVC has achieved progressive record 4K video (3840 × 2160 pixels), the 4K live output from memory card camera recorder “JY-HMQ30”, as Victor direct limited product release to (start accepting orders). The combination of 1.25 type CMOS sensor and a large variety of lens, while taking advantage of the lens performance, the machine delivers a rich visual expression in 4K high definition sensor. 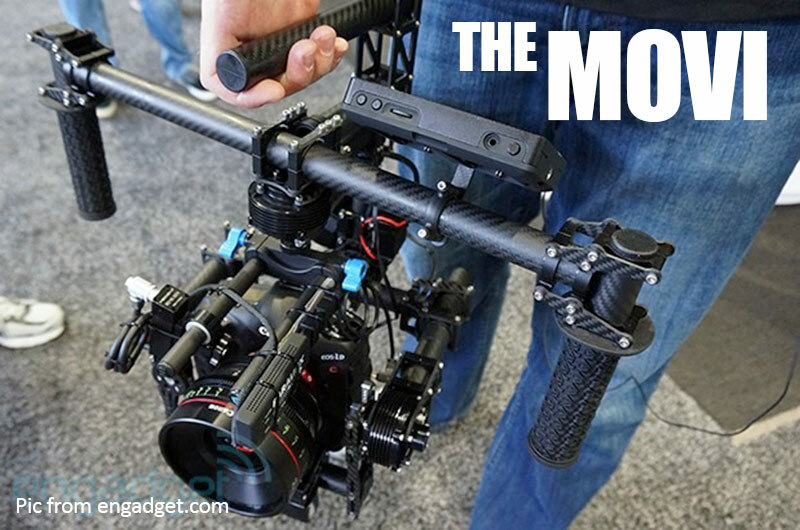 Including content production, it will respond to a wide range of shooting applications. In addition, high-speed image processing engine “FALCONBRID” by (Falcon hybrid), record to four SDHC / SDXC cards using 32GB × 4, about 2 hours. The JY-HMQ30 has a Nikon F-mount and will allow shooting in manual operation. In addition, even if you use a replacement lens with no aperture ring, manual shooting in aperture ring of the body can be mounted. HDW : I thought this 4K camcorder was ditched as many of us were not impressed by the picture relying on 4 SD cards to stitch a 4K picture, if one card happens to be faulty there is no 4K recording !!! Afterthought… This comes from a growing need for camera manufacturers to supply backup as SD cards are proving less than reliable, I just handed back an SD card to a friend who shot 2 first holy communions on it and only one was successfully recorded. If camera manufacturers are not going to supply dual recordable SD card slots then the ability to record simultaneously to both SD and internal memory…is a must ! Sony announced its PMW-300 XDCAM camcorder, equipped with the 1/2-type Exmor™ Full-HD 3CMOS sensors capable of delivering incredible images even in low-light conditions. 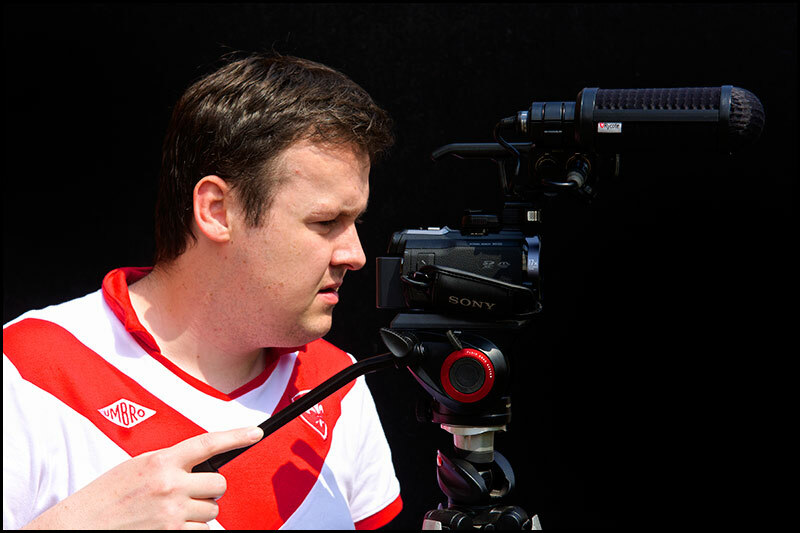 The PMW-300 is ideal for broadcast producers and corporate event camera operators who require a flexible semi-shoulder camcorder that can easily be adapted to suit a wide range of production environments. An evolution of Sony’s industry leading PMW-EX3, the PMW-300 is able to record 50Mbps HD material in MPEG HD422, meeting broadcast standards around the world, including the European Broadcasting Union’s (EBU) requirements on HD broadcast acquisition for long form programme making. The high bit rate ensures excellent capture of fast moving objects, while its chroma subsampling feature is perfect for a wide range of video encoding areas such as VFX and green screen applications. The camcorder can also be upgraded in the future to support Sony’s revolutionary XAVC codec, extending the lifecycle of the product to ensure maximum return on investment*. The 1/2-type Exmor™ Full-HD 3CMOS sensors offer high light sensitivity and low image noise. As a consequence, it delivers clear high-resolution images even when filming in low-light conditions. The camcorder also includes Sony’s advanced signal processing technology, which suppresses noise effectively and thus creates noticeably clearer images. The PMW-300 features the same EX-mount interchangeable lens system as the PMW-EX3, making it compatible with a wide range of 1/2 inch and 2/3 inch lenses. There are two types of lens packages planned to be available for the PMW-300. One is with a 14 times zoom lens, and the other is with a 16 times zoom lens. Both lenses have a focus ring for quick switching between auto and manual focus. An HD-resolution 3.5-inch colour LCD viewfinder (960×540 pixels) enables precision focusing for HD filming, while the 8-pin remote-control and multi-camera operation capability allows the PMW-300 to be used in 3D configurations and high-end camera systems. With an HD-SD/SDI output and an HDMI output, the PMW-300 connects not only to broadcast infrastructures, but also to consumer devices equipped with HDMI inputs. Timecodeand genlock interfaces enable use in multi-camera setups and 3D configurations. The 8-pin remote connector allows for remote adjustment from a remote control sold separately. The camcorder has a standard recording mode of 1080/25p, offering a vast range of shooting options, switching down to 720/25 to enable up to 2.5x slow motion. Based on customer feedback the PMW-300 features an innovative semi-shoulder design that has a rotary hand grip, allowing comfortable recording over long periods of time. Its magnesium metal body ensures the camcorder is robust and like its predecessor, the PMW-EX3, can withstand even the harshest production environments. 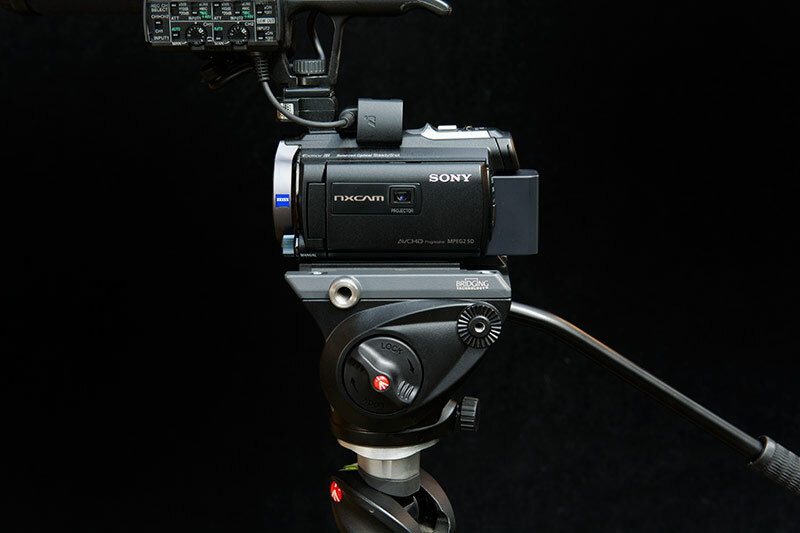 Like all of Sony’s solid state XDCAM camcorders, the PMW-300 has the most flexible choice of recording media in the market, allowing customers to choose to record on Sony’s professional SxS memory card as well as other media such as SD, Memory Stick and XQD cards depending upon their budget and application. Finally, Sony today confirmed that an optional wireless adapter currently in development will enhance proxy recording, wireless transfers, Wi-Fi viewing and metadata input. Coupling the PMW-300 with accessories such as one of Sony’s UWP professional audio line-up will ensure a best in class user experience. 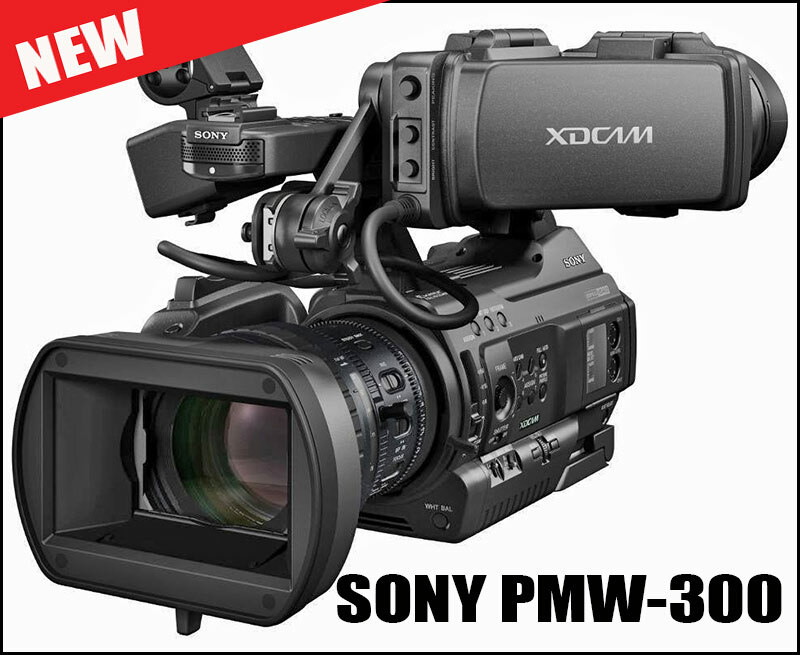 PMW-300 with a 14 times zoom lens will be available in the market in October 2013. PMW-300 with a 16 times zoom lens is currently under development targeting to be available within 2013. 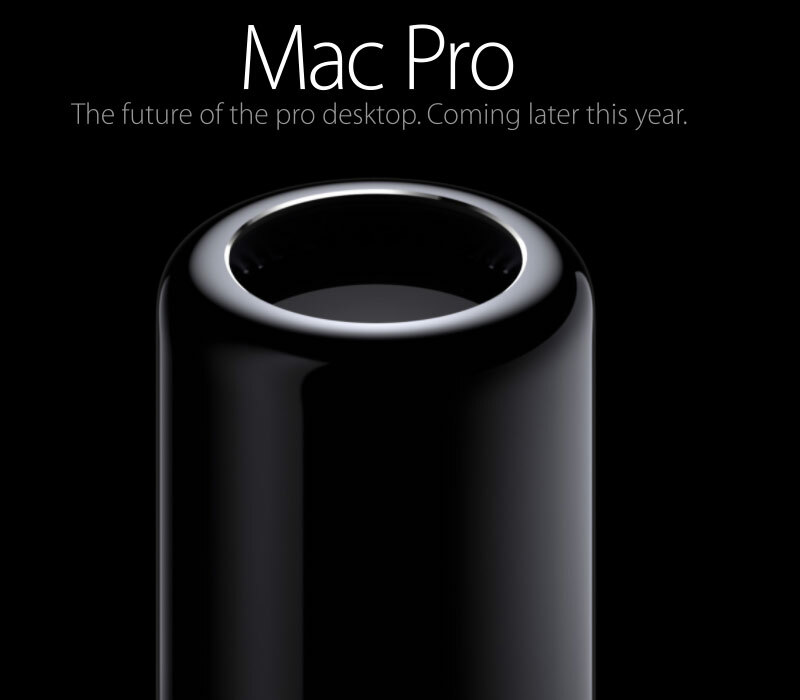 The New MacPro due later this year, no price yet. 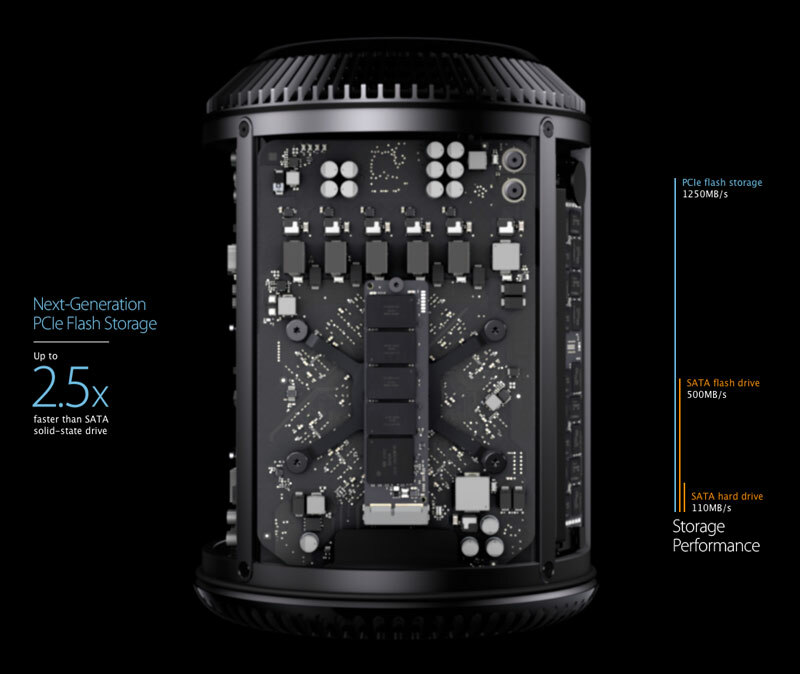 Fantastic…to all you cynics out there Apple have kept their promise and delivered an awesome new MacPro that will blow the socks off the competition. New flash storage 2.5x faster than a SATA solid state drive, I have a 768GB flash drive in my iMac which is more than adequate for FCPX, Photoshop, Encore etc. 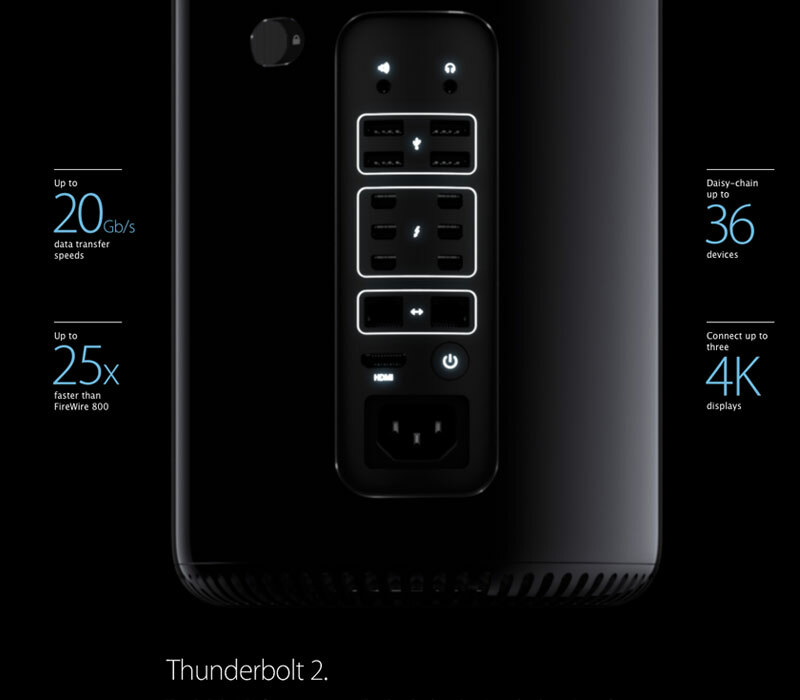 Six Thunderbolt 2 slots and the ability to connect up to three 4K displays !… the future in Apples eye is obviously 4K. This is truly revolutionary not only in design but imagine FCPX running on this beast with 4K displays…if this does not bring a lot more of you back to FCPX nothing will. 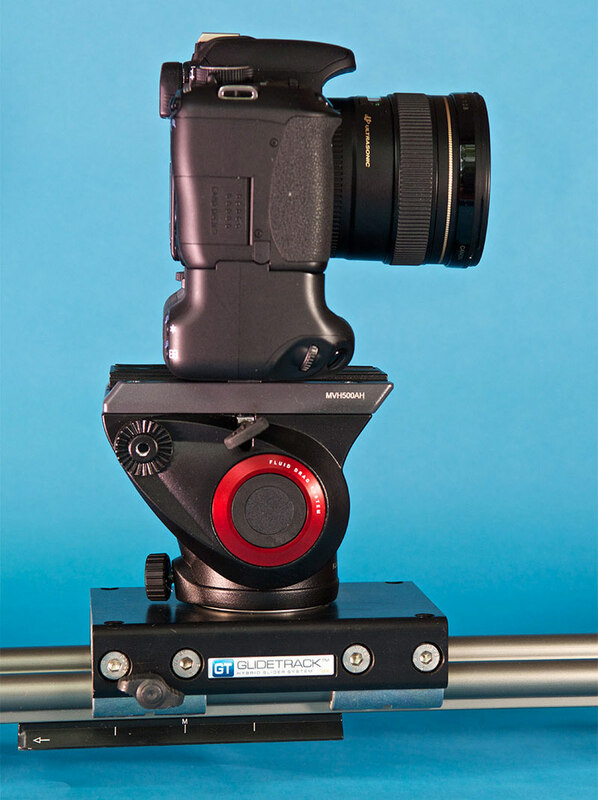 Manfrotto have just sent me their new MVH-500AH tripod head to review…here are my findings. 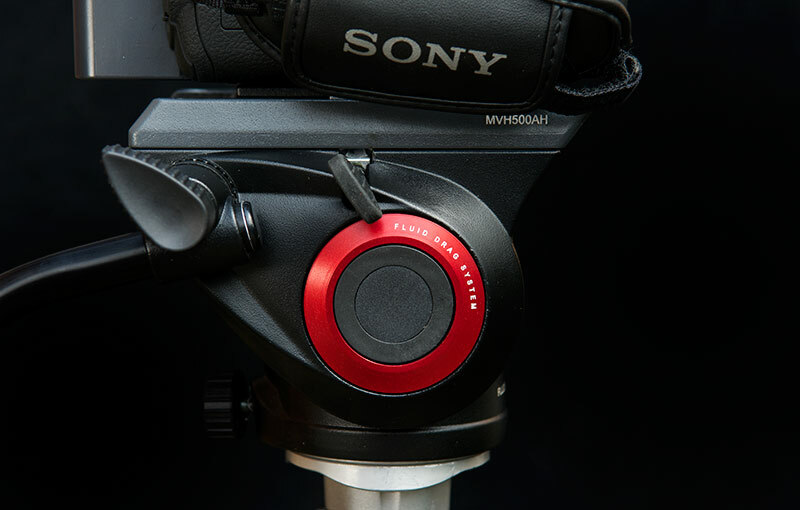 Firstly unlike the latest range of “bridge technology” tripod heads who all have a 75mm – 100mm ball head the MVH500AH is the first of the new generation to sport a flat head. 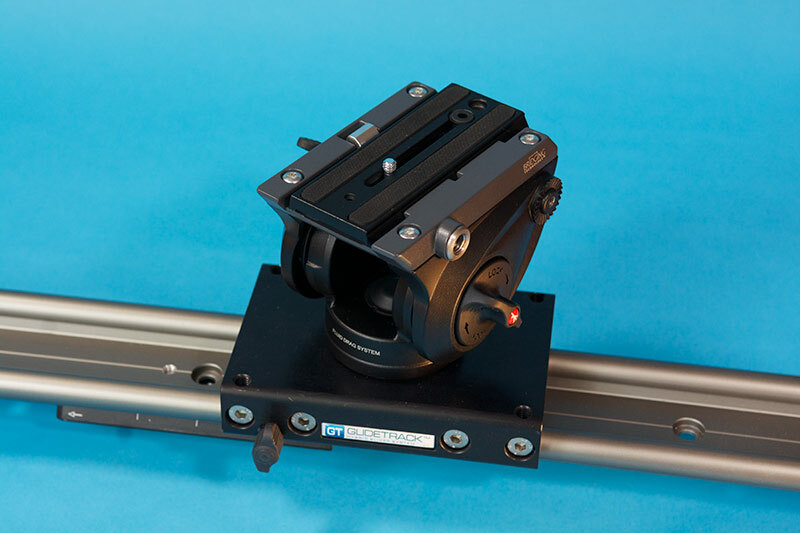 The flat head design is very useful for all of us who use sliders like the glide track GT hybrid and for DSLR users. The tilt is locked in position using this nice large rotary button on the side and note the “Easy Link” 3/8” connector to allow an external monitor or other accessory equipment to be fitted. You also get a “500P LONG” tripod plate which travels to balance the latest interchangeable lens cameras. The entry-level 500 ensures smooth shots and fine control with up to 5kg (11lbs) of equipment. It’s the most compact head in the Bridging Technology™ range and it replaces the Manfrotto 701HDV video head. A perfect partner for your DSLR or a Sony NX30 as shown above, I really like Manfrotto’s new range of tripods, very light weight and smooth though given a choice I still prefer the 504HD as my choice of run and gun tripod head. Given the price of the MVH 500 AH at a £130 it’s a great back up or main head for your DSLR and if weight is the issue for aircraft luggage you could easily use the Manfrotto MVH 500 with a JVC HM GY-650 for ENG work. Japanese company Amulet is poised to release a CompactFlash card that allows images and video files to be backed up instantly using RAID-style ‘mirroring’. In mirroring mode, the card effectively becomes two storage devices, and records images to both partitions simultaneously. As such, a 64GB card offers 32GB of actual storage space in mirroring mode. In video terms this may allow you to record the same footage 4 times, one plus back up for the client and the same for yourself. Many professional DSLRs offer twin card slots to allow for backup storage (in case of hardware failure) but the new Wise CF Card Duo effectively manages this trick in a single CompactFlash card – something which may appeal to photographers for whom a corrupted image might mean losing a commission. 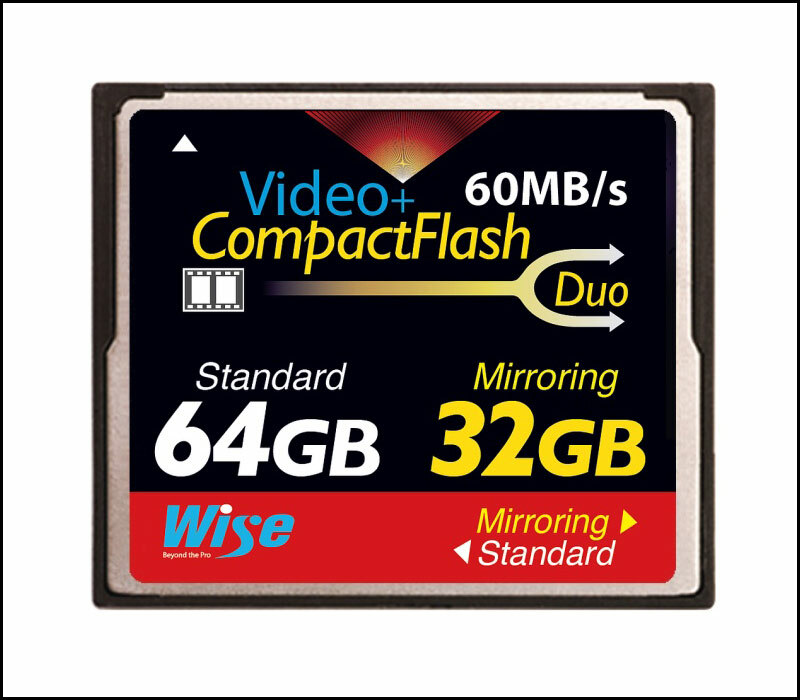 In its standard mode, the card offers 60/50MB/sec read/write speed, which drops to 30/25MB/s in mirroring mode, making it suitable for recording still images and HD video in both modes. The card can be switched between standard and mirroring mode at will, although formatting is required after switching. The ‘Wise CF Card Duo’ will be released on June 14th in 64GB (32GB mirroring) capacity – price and availability still to be confirmed.